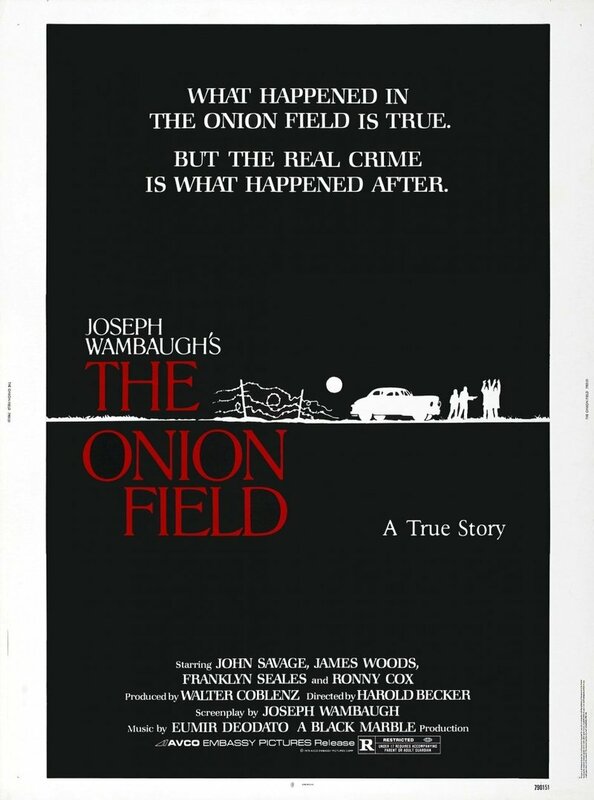 That happened in the onion field is true. But the real crime is what happened after. In 1963, two Los Angeles Police Department officers, Ian Campbell and Karl Hettinger, pull over a car that contains two suspicious looking characters. The pair they have pulled over, Jimmy Lee Smith and Greg Powell, are two small-time crooks who make their living by robbing convenience and liquor stores. The two crooks take the two cops hostage, driving them out to some onion fields. Campbell is killed by the crooks, but Hettinger escapes. Powell and Smith are captured and sentenced to death for the murder of Campbell, but they appeal and are awarded a number of retrials. Meanwhile, Hettinger is wracked with guilt about his partner’s death. He begins to shoplift as a way of coping, and he is eventually caught and forced to resign from the police force.